Officially A Yuppie: EXCLUSIVE! Alan Wilder INTV! From pianist to producer, beat maker to beautiful compositions. 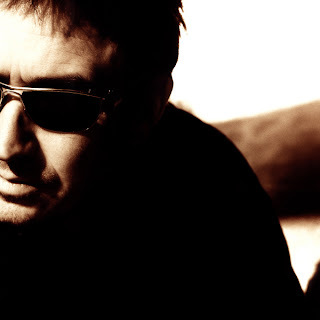 Alan Wilder is a name synonymous with electronic music and modern producing. The former Depeche Mode keyboardist and Recoil main man has been cranking out alternative sounds for four decades now and shows no sign of stopping. After leaving Depeche Mode in 1995, Wilder has focused on Recoil, the electronic project that has kept him busy for nearly 15 years. Recoil, which was started in 1986 as a Depeche Mode side project has now become his main focus as well as producing for artists like Nitzer Ebb, Curve and others. While he has kept his focus on his own work, last year after 15 years, Wilder rejoined Depeche Mode for a few songs at a special performance at the Teenage Cancer Trust concerts in London. As the man has kept busy through the years with studio work and going on the road, we caught up with him as he finished his North American tour and got a rare interview and glimpse into the mind and world of this legendary artist. Take a look at our interview with Mr. Wilder as we discuss Recoil, recording and a maybe rejoining his former band. You have had a slew of great guests playing with you on this tour from Alessandro Cortini to Martin Gore. Do you hand select your guests? Anyone that you would have loved to have joined you that you couldn’t get a hold of? AW: Ideas for guests just tend to throw themselves up. Either they hail from the city we happen to be playing in, or they have approached me, or they might be someone I feel would suit the Recoil events in some capacity. Martin lives in California so that made sense for example. It would be ideal to have Recoil collaborators appear more regularly but the logistics of taking extra musicians and vocalists on the road in the US just don’t add up with this kind of project. Trying to make the tour cost effective in the current climate is, shall we say, a challenge. You have been touring in support of your best of work - “Selected”, do you plan on releasing new material in the future? AW: I haven’t got any completely concrete plans but I intend to carry on with what I started before this particular campaign kicked off. I have about 6/7 embryonic tracks underway but it’s too early to say what direction the whole thing is really going in, or when it will be complete. I’m planning to get back into the studio, fix my very ill studio computer and get to writing some new Recoil music. With various guests on a Recoil album, how does a song get crafted? Do you write the lyrics for the singer or leave that to them and you concentrate on the music? AW: Basically, I allow the music to direct me towards the voice. Nearly always I begin with some musical ideas (although occasionally I may have a voice sample, like The Golden Gate Jubilee Quartet used on ‘Jezebel’) and the atmospheres which emerge then suggest a type of voice. I try to choose people who are technically proficient and who I also think will be empathetic with the Recoil approach. Good examples would be Joe Richardson and Diamanda Galas - both incredible singers with open-minded attitudes. I tend to compose basic music first (I wouldn’t call them songs) which should at least lay a framework and some atmosphere to hopefully inspire any would-be vocalist. Usually at this stage the music has suggested who that voice might belong to, and so that is when I would approach people to contribute. Once a singer has come up with some ideas and we have recorded them, I then re-work everything, trying to wrestle it into a final piece. What we end up with can vary from a fairly straight song through to anything else that feels natural, or that just ‘works’. You started Recoil in the late 80’s; did you think you would be doing it for this long? AW: I guess not. I mean I never thought about it - and have seen no reason to stop since the project’s potential is so open, allowing me to work either alone or with as many other contributors as I like, with no musical restrictions. I think the set up is what I always wanted after I hit my late 20s and started outgrowing the concept of being in a group. The only reason I would change and do something else is financial - since, these days, it can be a struggle to make a living through music. You do not consider Recoil a band, but merely a project. Do you think at this point after all these years, still a project given its longevity? AW: When I was in my teens and twenties, I had plenty of conviction about wanting to become a musician (and a ‘successful’ one hopefully). So I was always driven and focused about doing the only thing I was really passionate about. But I never really foresaw exactly what form that would take, or end up as - I guess at the time, I just wanted to be in a band and make records. As I got older, I realised that being in a band suited me less and less, with all the politics that involves, and that I’m far happier acting as a kind of musical director for my own projects. AW: I like older analog synths, and have quite a few of them. However, these days I use less synthesis and more ‘real’ audio samples and loops. I am still attached to certain machines, like the Mini Moog and my VCS 3 synth which is used mainly for processing samples and loops, I have a great sounding Neve console from 1970s, and the Roland Space Echo is another favourite. I use a few software-based instruments - but I was never a synth wizard anyway. I like the fact that it is so much easier to save all your sounds as well as your mix effects and so on using the computer. Having said that, we still use familiar analogue boxes for particular sounds, reverbs and effects simply because their digital counterparts often don't match up. I love valve compressors and vintage eq units, tape delay etc. As far as computers and software goes, they are powerful tools and I enjoy many aspects although I do struggle to keep up sometimes. However, you don’t always need to be on the cutting edge to make good music - as long as you have some decent ideas. There are so many equally valid ways of doing things. In conclusion, I like a combination of all things. You performed for the first time in over a decade with Depeche Mode in March, how was it being back on stage with them? How did you get involved with them again? AW: It felt strangely familiar - which is maybe not surprising considering how much touring we used to do - but it was like I’d never been away. I had forgotten just how it feels though when a large audience is behind you like that. A proud moment for me knowing that most people were so happy about it. Do you think you will work with them again? AW: There are no plans for this at the moment. Do you ever miss being in Depeche Mode or you are just so content and focused on working on your own material that it does not matter? AW: After two divorces, I guess you could say I miss the cash! And I miss other aspects of that life of course, though there are elements I can happily do without. Road to the Oscars 2011! Francis & The Lights INTV! The Black Keys on Conan! Boris Releasing 3 New Albums! EXCLUSIVE! Frankie & The Heartstrings INTV! Tahiti 80 - France's Neo New Wavers Return! Peter Bjorn & John on Conan! Underrated Classic - Radiohead "Amnesiac"